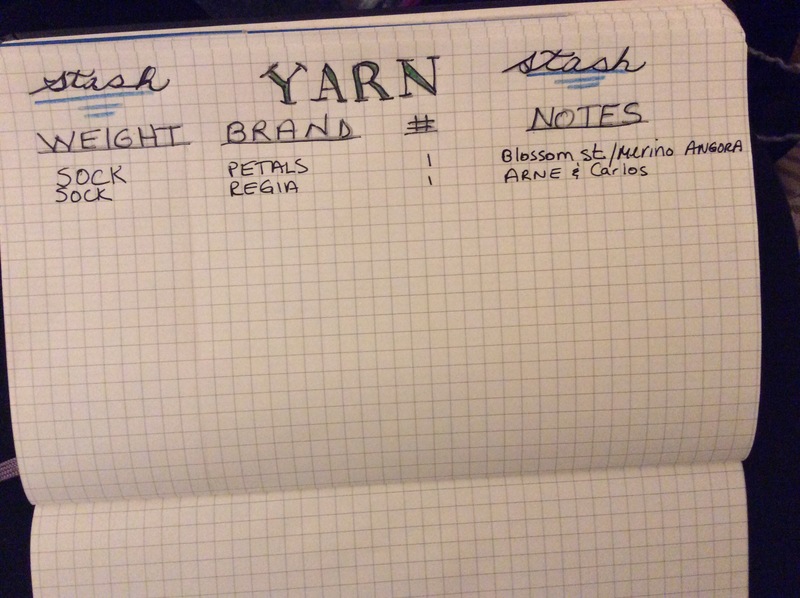 How I am managing my yarn stash in my bullet journal. Late last year, I was listening to the VeryPink Knits podcast. Staci and KC (the hosts) were discussing how Staci does not have a yarn stash. I must have looked real cute in my cubicle at work, with my ear buds in and my mouth wide open. NO STASH!!? I do not know one knitter that does not have a stash. I am a new knitter. 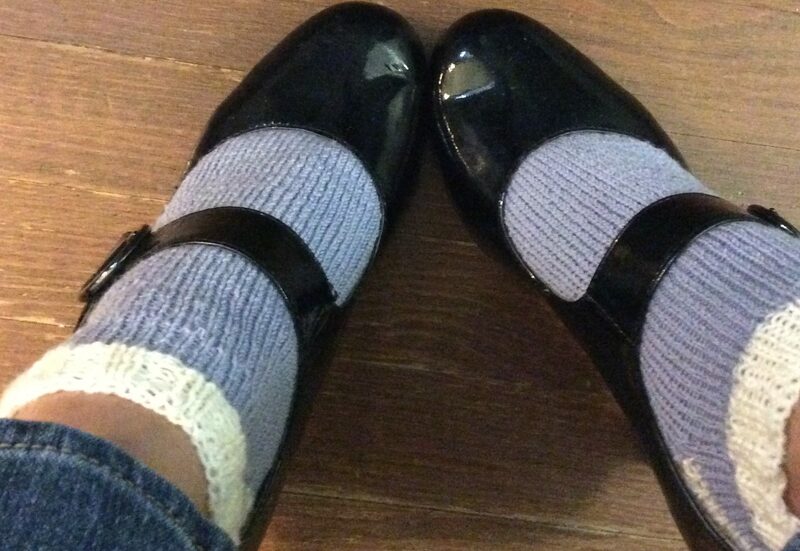 As a matter of fact, tomorrow, January 7th is my knitterversary. It will be my fourth knitterversary. After four years, I have quite the stash. Let me take you back to the Verypink podcast. When KC asked Staci what she does when she goes into a yarn store and sees all the beautiful yarn, Staci said something like, I touch it, admire it and put it back. She only buys yarn she is going to cast on right away. Hmmm. I could do that. I’ve been on a simplifying kick. I listen to the minimalists.com podcast, I participate in project 333 created by Courtney Carver of Be more with less and I started a bullet journal. How I’m keeping track of my projects.
. One of my goals for 2017 is to use the yarn I have before buying anymore. And after attaining that goal, I will only buy yarn I am ready to cast on with. I needed to take inventory. I needed a way to see my stash dwindle. Needed to see my progress. It keeps me motivated. Enter the bullet journal. My notebook is pretty simple. Mostly black ink. Very little color. 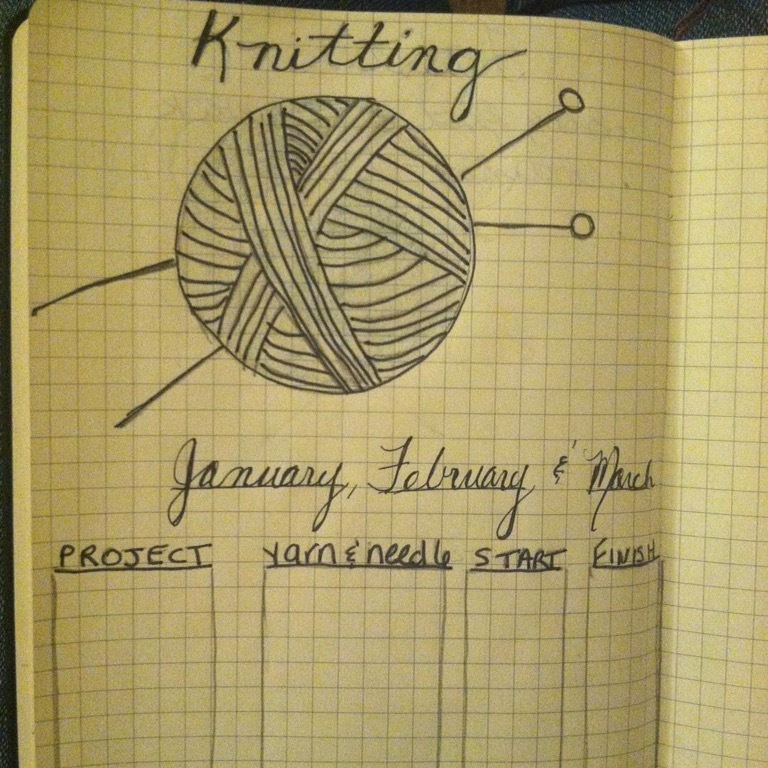 I use it to keep track of all my yarn. 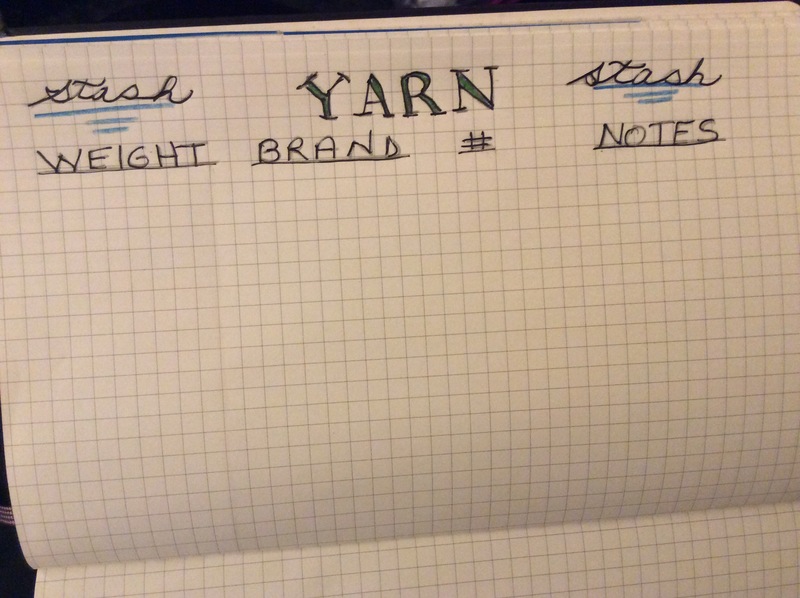 I track the weight, brand, quantity and whatever notes pertain to the yarn. So far, this spread is working for me. I would love to see what other knitters use their bullet journals for. If you’re on Instagram, leave me your IG name, I love the inspiration on Instagram. My IG name is NYknits. What? No stash? I sew rather than knit and I have a ridiculous amount of fabric waiting to be used. I don’t dare write a list in my Bullet Journal, I’d scare myself! She has no stash….I just don’t understand….. I know! I couldn’t believe my ears. Lol Thank you. It’s working great so far.